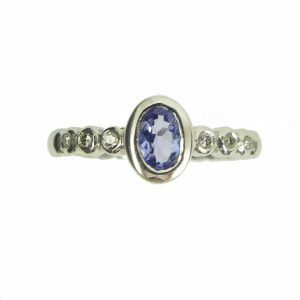 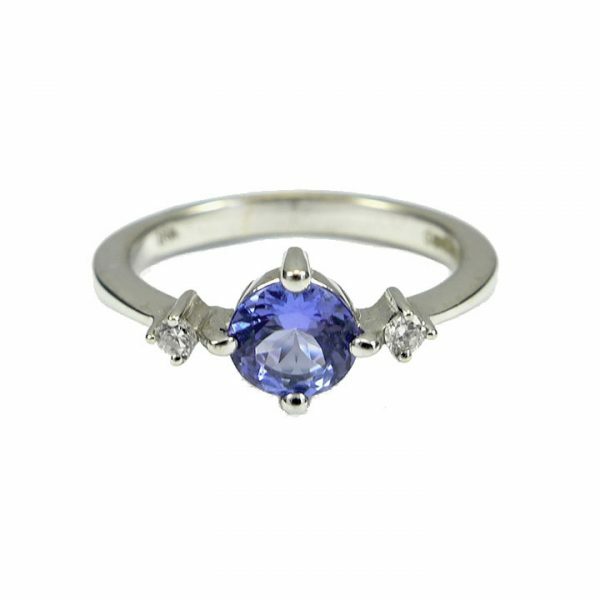 This enchanting ring made with a high quality example of the Tanzanite stone is a joy to behold. 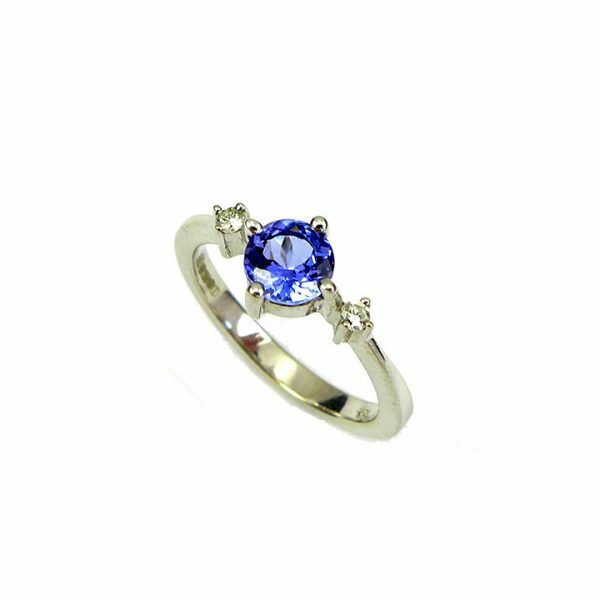 The magical colour is so deep and beautiful you can lose yourself in it. 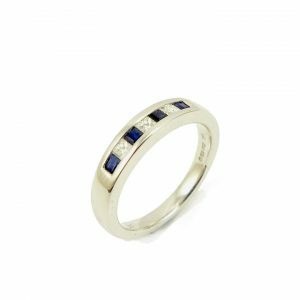 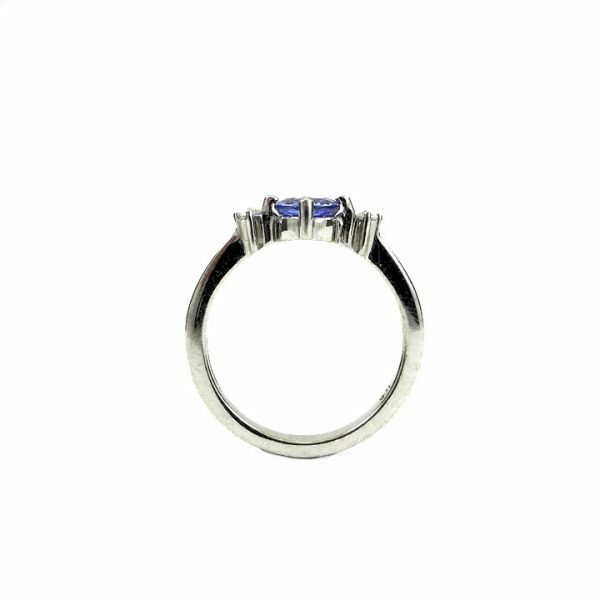 Tanzanite diamond white gold ring made in 18 carat white gold. The ring is set with a 0.40 carat AAA quality round brilliant cut tanzanite. 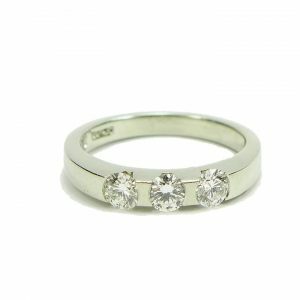 This is set off with a 0.01 carat round brilliant cut diamond on either side. 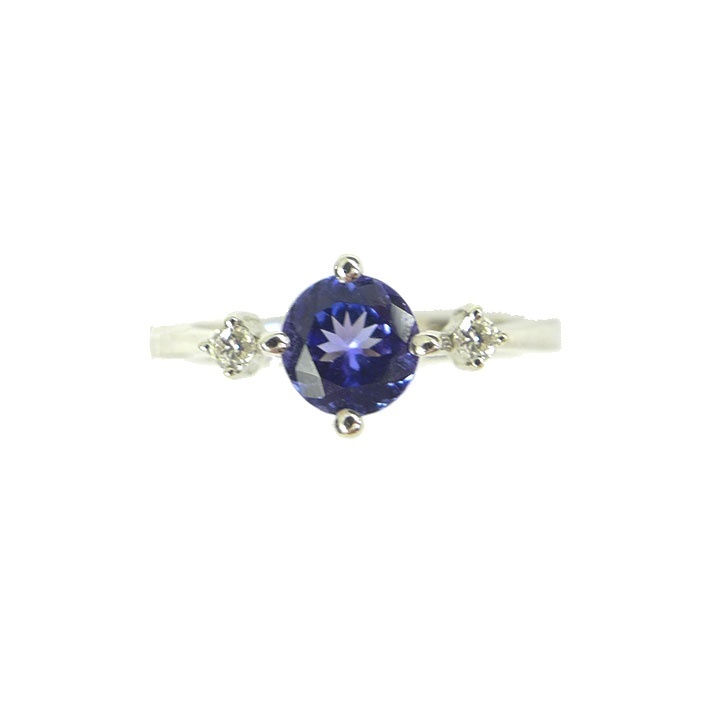 The ring is a finger size L and has a full set of British hallmarks and weighs 3.1 grams.